Mosquito allergy is common in certain geographical areas but their allergens are still misidentified. It has been published in the journal Allergy and Annals of Allergy, Asthma & Immunology two new studies on this topic. 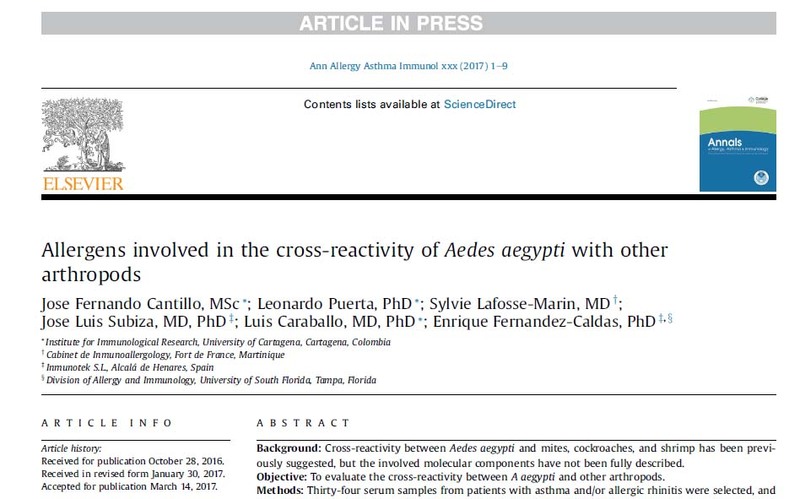 The newly identified allergens in the studies may play a role in the pathophysiology of mosquito allergy in the Tropics, and some of them might be important arthropod-related proteins involved in cross-reactivity between A. aegypti and other allergenic arthropods. The studies were performed with the collaboration of INMUNOTEK.